At Leisureshopdirect, we don't just sell the large items and accessories that tourers require to get and keep them on the road in their caravans and motorhomes, we also make sure that we stock a full range of spare caravan fixtures and van appliances, including towing equipment like towballs and fittings and the all important towing mirrors, breakaway cables, nose weight gauges and towball spacers. 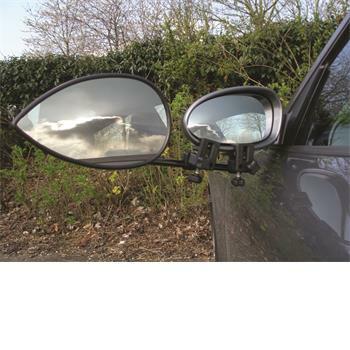 Among the most sought after towing equipment are towing mirrors - a legal requirement if your caravan is wider than your car, as the law states that when towing a caravan you must have adequate view of the rear of the car and along both sides of your caravan. A flat mirror is recommended for the offside, and a convex mirror for the nearside. 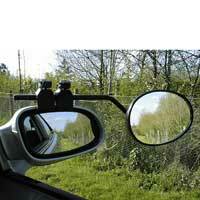 At Leisureshopdirect.com we stock a comprehensive range of touring caravan towing mirrors. One popular range is the Milenco Towing Mirrors: for more than a decade Milenco towing mirrors have led the market, out performing all others in comparative product tests. The Milenco Aero towing mirror is totally new for 2007. It has been designed to offer superior vision and a vibration free view far past your caravan. It also complies with the very latest European regulations, and meets all legal requirements in every EU member state. This mirror also complies with the very latest pedestrian safety laws and is engineered to minimise injury in the event of an accident. This is a very high quality product and is manufactured with the highest quality materials available. The mirror screws are high-grade stainless steel and turn in brass inserts that will never corrode. The mirror glass is chrome safety glass. If you caravan is wider than your car, it is a legal requirement that you fit additional e-marked mirrors on both sides. Reich, raydyot and route towing mirrors available. In our caravan towing equipment section, at Leisureshopdirect.com we also stock a wide range of towballs and fittings for your caravan or trailer. 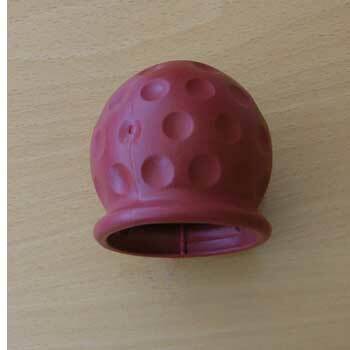 Alko AKS Towball is an example of the good quality AL-KO products available. Unbraked or braked Ball Couplings for your caravan or trailer and steel breakaway cables, a secondary coupling, which usually comes in the form of a stout cable or chain connecting the trailer hitch to the tow bracket. Towing accessories such as towball spacers, Hi tensile bolts, drop plates and nose weight gauges available.